Brett Prebble could just about set his clock by Solar Hei Hei (117lb). 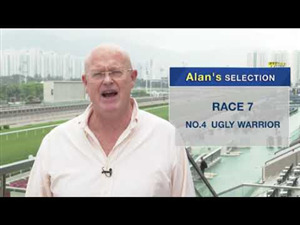 The Australian ace has partnered trainer David Hall’s gelding to five wins and will take the race day reins aboard one of Hong Kong’s most consistent gallopers for a 15th time in Sunday’s (27 November) Sha Tin feature, the Class 1 Chevalier Cup Handicap (1600m). Prebble was in the plate for the gelding’s first two starts this term; a running-on fifth behind Mr Bogart and Pakistan Star first-up over 1400m on 16 October, and a top-weight lugging fourth behind two rising talents, Jolly Banner and My Darling, in another 1400m Class 2 handicap three weeks ago. “He’s had two nice runs,” Prebble said. 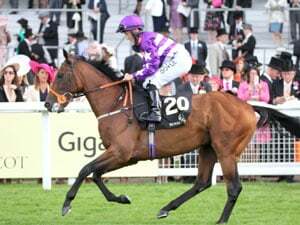 “He’s a pretty consistent sort of horse and he’s drawn a nice gate; he’s up to the mile, which I think he’s looking for, so it should be suitable. The danger with such consistency is that at some point a horse’s progression reaches its absolute peak and the rating ceiling is hit. Solar Hei Hei’s six wins, all told, and the fact that he is usually in the mix, even in defeat, have seen the Churchill Downs five-year-old climb from a debut 52 rating to a current mark of 89. That ceiling could be within touching distance. The Danny Shum-trained Circuit Land and trainer John Moore’s talented Harbour Master, both penultimate start winners, will each shoulder top-weight of 133lb. The Benno Yung-trained Precision King heads into the race off a last start win and is set to carry only 111lb thanks to Dylan Mo’s 10lb claim. The 14-runner field also features the first-time Hong Kong starter Circuit Hassler (111lb with Ben So’s 2lb allowance) from the Tony Cruz stable, a G2 winner at 2100m in New Zealand last April. The Caspar Fownes-trained Gonna Run (115lb) improved on his first-up effort with a running-on sixth last time out and scored at the course and distance last term. Sunday’s 11-race card concludes with a hot Class 2 contest, the Chevalier Senior Housing Handicap (1400m), which features talented up-and-comers Baba Mama (119lb), My Darling (124lb) and Jolly Banner (129lb). The John Size-trained My Darling landed three wins from four starts last term and was returned the 2.1 favourite to score first-up this season in a course and distance Class 2 on 6 November. 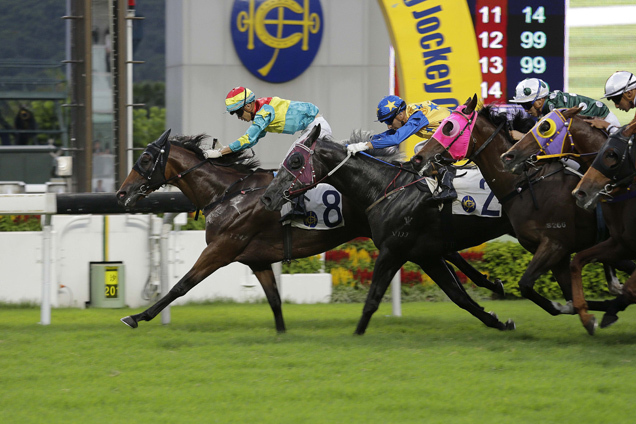 But the Mossman four-year-old was no match for the Ricky Yiu-trained Jolly Banner, who made it two from two for the campaign with a length and half verdict. The latter is 5lb worse off with My Darling this time around thanks to a 7lb penalty for winning. Chad Schofield was aboard Jolly Banner for that success and will again take the ride atop the Lonhro five-year-old on Sunday. 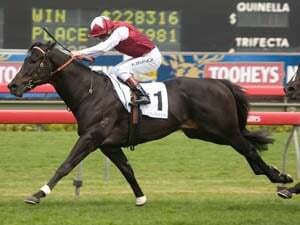 The gelding’s Hong Kong record of three wins from nine starts has carried him from a debut rating of 67 to a current mark of 90. The gelding’s high cruising speed has proved to be a winning asset and Schofield is hoping for more of the same. “He can quicken off that (high cruising speed), he’s got a good turn-of-foot, too,” Schofield said. “He’s very tough as well and he puts it all in. He’s a very happy horse; he loves his work, he loves racing, he loves to please. He’s in good form and I’m very happy with him. The smart field also features the likes of top-weight Sichuan Dar (131lb including Vincent Ho’s 2lb allowance), Turf Sprint (130lb), Flying Moochi (117lb including Dylan Mo’s 10lb allowance), Pikachu (122lb), Super Leader (120lb) and Jolly Jolly (117lb). The fascinating card features a raft of emerging talents and in Race 10, the Class 3 Chevalier Property Development Handicap (1400m), the Size-trained Beat The Clock will attempt to make it two from two following an impressive debut in Class 4 three weeks ago. 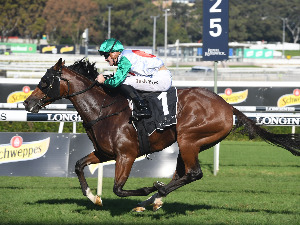 Zac Purton rides the Cruz-trained Beauty Kingdom (125lb) from gate three and is hoping to expose any chinks in the three-year-old’s youthful make-up. “Beat The Clock appears to be the one to beat. It looks like there’s going to be a bit of pressure in the race, so it’ll be strongest man standing, I think,” he said. “It was a solid effort (last start),” Purton said of the course and distance winner, second to Baba Mama last time. “He made all of the running and it took a pretty good horse to run him down, so there was nothing wrong with the way he went. He’s bumped into a nice few here again but he’s very honest and always gives us everything. Sunday’s action kicks off at 12.15pm with the Class 4 Chevalier Aluminium Engineering Handicap (1400m). The 11th and concluding race is scheduled for 5.45pm.